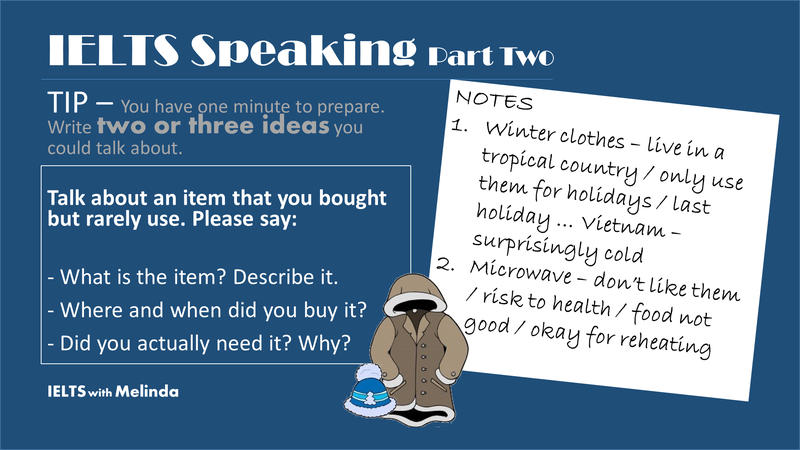 Are you ready to practise Part Two of the Speaking Test? 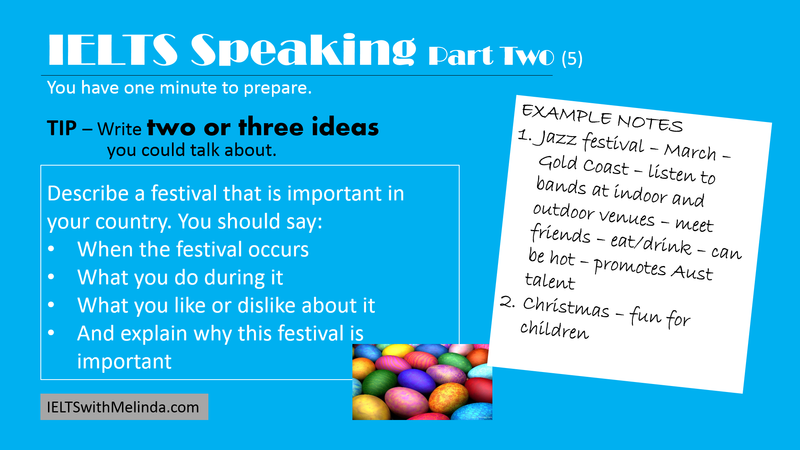 Practise Part Two of the speaking test. 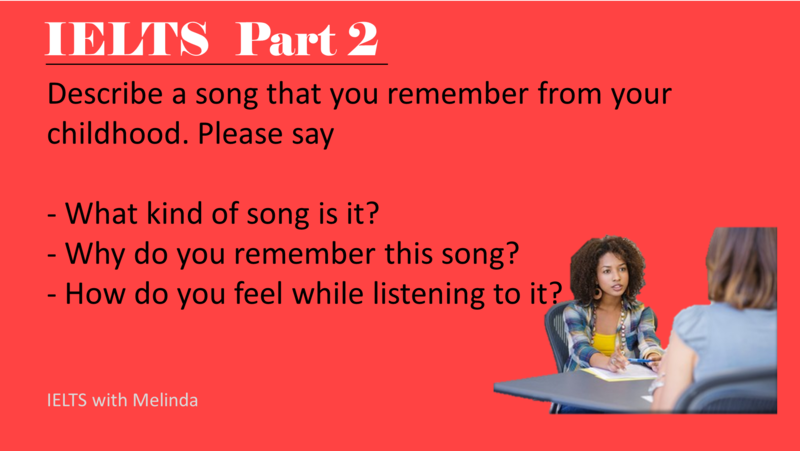 Read, take notes and answer the questions aloud. 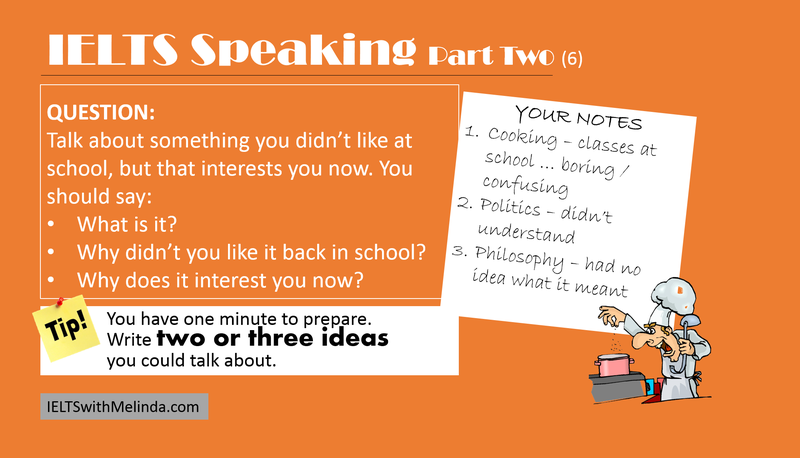 In Part Two of the Speaking Test you have 1 minute to take notes. Use that time effectively. 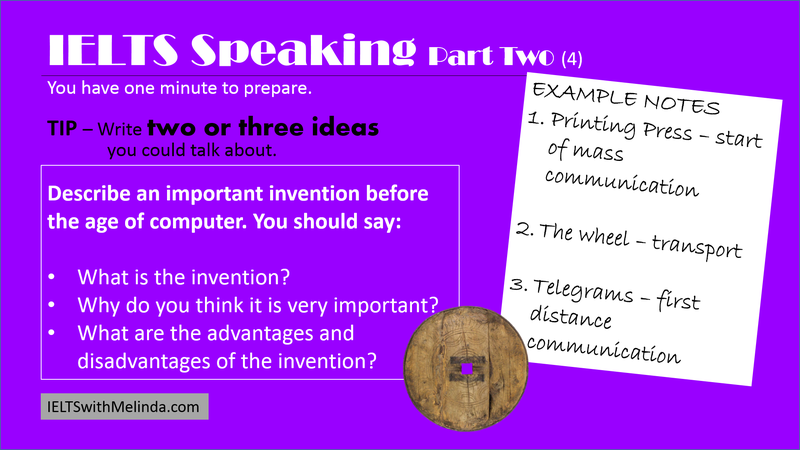 Write down 2 or 3 ideas that are relevant to the question. that way if you run out of things to say, you can give another example.